With Live-brary for Kids you can Download stuff, Listen to Books, Read eBooks, Watch Movies, Get Homework Help, Use Encyclopedias, and View Topic Guides. Check it out! Tumble Books is an animated, talking picture book library that helps kids learn to read and build vocabulary in an interactive format. Homework Help! – Connect with a professional homework tutor online. *Be sure to have your library card barcode ready and identify yourself as a New York State student who is learning according to Common Core State Standards. They will put you through to a Common Core trained tutor. Muzzy Online Language Learning – Kids can learn another language with this award winning program! *You will need to enter your patron barcode located on the back of your library card (no spaces) in order to access Muzzy. National Geographic is a fun and exciting way to explore the world! You can browse magazines, watch videos, view pictures, and listen to or read books. There are so many topics to explore! 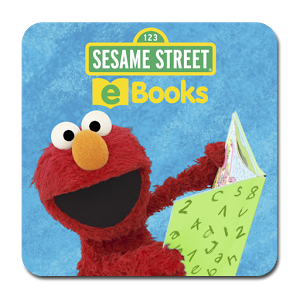 Sesame Street eBooks are perfect for the youngest book lovers. Read, Listen, Watch, and Play!